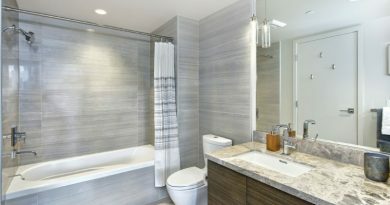 HBF facilitated a bathroom model and lift installation, courtesy of Infinity Home Collection and Ascent Mobility. Since a spinal stroke during a routine back surgery in 2017, Bryan Gates uses a wheelchair to get around. That made accessing all levels of his three-story townhome in Stapleton nearly impossible. 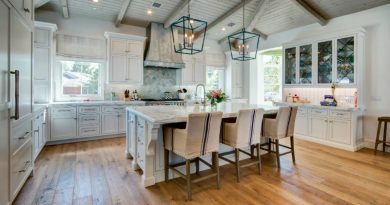 Gates reached out to the Home Builders Foundation for help, but unfortunately, modifying the home proved to be more challenging than anticipated. Infinity Home Collection, which has three product lines in Stapleton, accepted the challenge. Infinity acted as a project captain to lead a team of trade partners in building a ramp from the garage to the home, and modifying the master bedroom. “When we heard that Bryan had this need, we jumped all over it, and we actually have another one we’re getting ready to start,” John Hovde, chief operations manager for Infinity, told Colorado Builder at a dedication luncheon for the project. Hovde is on HBF’s board, and Infinity has been involved as builder captains and sponsors of the charity since around 2008, he added. “It’s a great cause and a great group of people,” he said of HBF and its mission. 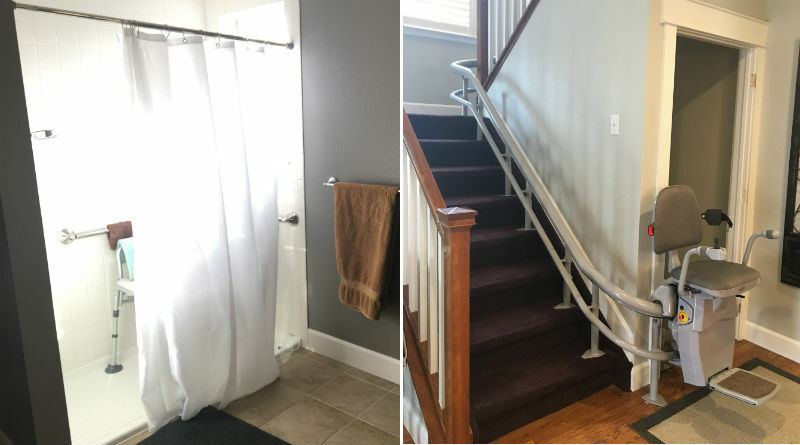 One of the most important modifications for Gates was a lift to help him navigate the narrow stairs of his home on his own. However, a simple curved chair lift can run between $8,000 and $10,000, according to Home Advisor. That’s for lifts with a single landing or curve to navigate. Multiple landings and spiral staircases can drive the cost to $15,000. Ascent Mobility stepped in to do what it could to help Gates access his entire home. Ascent uses a specialized camera system that photographs placards set up along the stairways. A manufacturer in Germany uses the data collected to build a lift and rails designed specifically for that home. “They can tell based on what we send them if there’s going to be a problem with [the lift] not fitting, especially with knees and toes,” Greg Shepherd, president of Ascent, said. “It’s kind of a leap of faith to put down all these markers and take a few pictures, then send it off to the factory and hope it … works, but it does,” Johnson said. Ascent provided the lift at cost, Johnson said. Gates’ entire community rallied to help out, with nearly 70 contributions coming from family, friends and neighbors, in addition to Stapleton developer Forest City, which was acquired by Brookfield Asset Management in December, and Stapleton Master Association. The total cost of the project came to more than $35,000. The project has helped Gates and his son remain in their community. 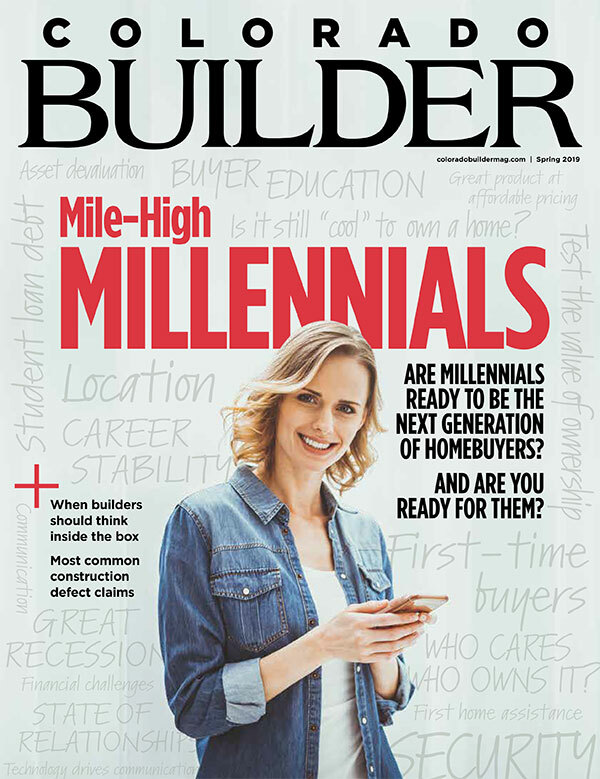 2018 was a blockbuster year for HBF, as it completed 197 projects for recipients in the Denver metro area, up from 94 the prior year.